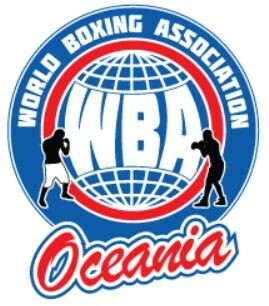 The WBA Oceania is affiliated with the WBA. We have a proud and prestigious history. Our organization was born as the National Boxing Association (NBA) in 1921, in Rhode Island, as an entity devoted to the government and control of this professional activity, with limited jurisdiction in the United States. Boxing was the breach of the world at the time it worn out by wars and the economic crisis. During 41 years the National Boxing Association developed a very interesting and unquestionable work for the benefit of boxing. The NBA accomplished the heavyweight championships with world recognition like Dempsey-Filippo, Dempsey-Carpetier and the memorable fights big hands ‘the killer’ against Tunney, in 1927. For the first time in USA, a radio transmission of boxing was made by initiative of J. Andrew White, who narrated the Packey O’Gatty and Frankie Burs fight from the Boyle’s Thirty Acres of New Jersey. That same night Jack Dempsey defeated Georges Carpentier. Fernando Mandry Galíndez told us, that the importance on how boxing led the way of a repudiated activity to an activity that has great promoters of unsuspected abilities and creativity. Tex Rickard makes the old Madison Square Garden, the Mecca of boxing, in the heart of New York, the center of the United States. Rickard’s imagination achieved the incredible ticket collection of more than two million of dollars. Rickard dies unexpectedly in Miami 1931 of appendicitis. However, other hands and entrepreneurs with the initiative and experience left by Tex, appeared in Boxing. The incredible Joe Louis appeared and conquered the Heavyweight Title in a very short time in the late 30’s, when, in the 40’s Uncle Sam called everyone to the war. That war silenced the fans, because everything pointed towards Europe, where big battles were taking place, but in the late 40’s when the war ended boxing became stronger and the first sports activity worldwide. Great champions were born in those golden years and spread to all divisions and to all the latitudes of the world. Boxing becomes so important that makes it necessary the adoption of new rules, new authorities, capable of coping with that new trend. They centralized in a real governing organization, its direction and guide. The universal projection of boxing, its strength, and the presence of important people, urge an organization with a real world vision, and on August 23, 1962, when the circumstances and a future vision, forces the need of a real organization that gave professional boxing its universal value. It is then that NBA, pioneer of the nationwide boxing conduction, becomes, a universal alliance into the World Boxing Association. 80 years of constant activity and a continuous search for the boxing benefit. Its first constitution was elemental and simple, as well as conservative, without amendments until the Annual Convention of Cartagena in 1978, when the first amendment directed to the preservation of decisions contrary to the condition of members was approved. Thereafter, in 1980 in Puerto Rico, were made other amendments that only contributed to make an incoherent constitution. It was until 1991, in the Convention of Panama, when the approval to a constitution amendment project, after long years of struggle was given. To name all the achievements of the WBA in this brief interview goes beyond his possibilities. Deep changes have been made ever since 1979, when the Norms and Procedure for Ratings were approved, becoming a fundamental stone for the ratings making. A new World Championships Regulation was adopted that gathers the invaluable experience of 80 years of tireless and restless struggle for the defense of the so complex interests of all the acts of this professional activity. Very important contributions have been made by the Medical and International Officials Seminars bound for the improvement of all the WBA boxing family members especially judges, referees, commission members, managers, trainers, who constitute the pyramid of our organization. The KO Drugs Campaign carried out by our president Gilberto Mendoza ever since 1988, deserves a separate and special comment. The idea grew and it has spread all over the world, catching the eye and the interest of people and governments, our campaign has already become familiar, millions of children and adolescent share their will, pledge and struggle, and we consider it as a great achievement of the WBA president Gilberto Mendoza for the future safety of our people and our youth. During the 80 years of existence, the WBA had been led by 43 North American presidents, except for the Canadians Frank Hogas (1937) and Nero McKenzie (1964). In 1964, the Panamanian Doctor Elías Córdova, became the first Latin American to enter in the WBA Executive Committee, and 10 years later, in the Convention of Panama he became president of the organization. Since then, the WBA presidents have been Latin Americans. Cordova’s presidency lasted until 1976, followed by Fernando Mandry Galindez, then came the Panamanian Rodrigo Sánchez, and finally Gilberto Mendoza. Another achievement of Gilberto Mendoza, that was is worth mention is the decentralization of boxing through the creation of the regional organizations: Latin American Boxing Federation (FEDELATIN), the Pan Asian Boxing Association (PABA), the Bolivarian Boxing Federation (FEDEBOL) and the Central America Boxing Federation (FEDECENTRO), North America Boxing Association (NABA), World Boxing Association International (WBAI) and the Pan African Boxing Association (PFBA).